Editor’s note: We are pleased to offer our readers a link to an extraordinary footage shown on Portuguese Cable News Channel, SIC Noticias, of the signing ceremony that took place in Lisbon establishing the Seat of the Ismaili Imamat in Portugal. We also include two other short clips of remarks made by the Foreign Minister of Portugal and the Prime Minister of Portugal. 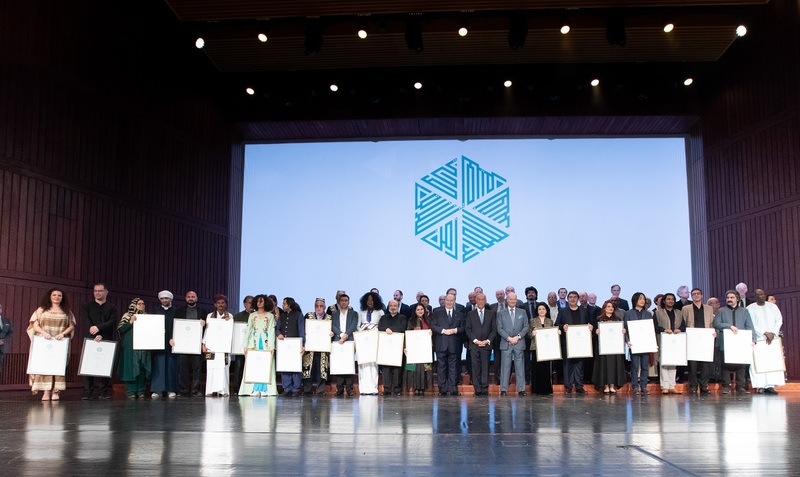 The event in Lisbon on June 3, 2015 was a truly historic moment in the modern history of the Ismaili Imamat, and earlier this week we brought you the complete English text of the Agreement. Readers who haven’t read the text are invited to click on “Seat of the Ismaili Imamat” — Text of the Historic Agreement. His Highness the Aga Khan signing the historic document establishing the Seat of the Ismaili Imamat in Portugal. Please click on image to view the video. Portugal’s Minister of Foreign Affairs speaking at the signing of the Agreement establishing the Seat of the Ismaili Imamat in Portugal. Please click on image to view a video clip of the remarks. Portugal’s Prime Minister speaking at the signing of the Agreement establishing the Seat of the Ismaili Imamat in Portugal. Please click on image to view a video clip of the remarks. Date posted: August 6, 2015. Full English text of agreement at “Seat of the Ismaili Imamat” — Text of the Historic Agreement Between the Ismaili Imamat and the Portuguese Republic. This post is also reproduced at http://www.simergphotos.com, Simerg’s photo blog. 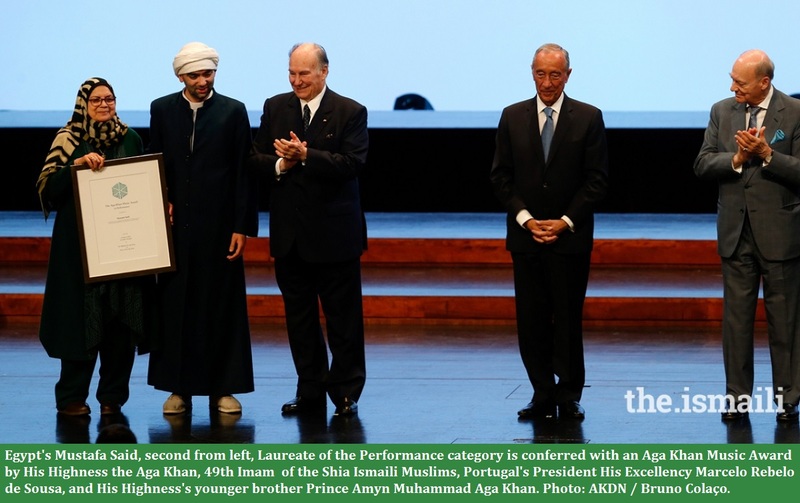 On Thursday June 4, 2015, in a piece entitled History in the Making: Establishment of the Seat of the Ismaili Imamat in Portugal, we informed our readers about a landmark agreement that was signed a day earlier by His Highness Prince Karim Aga Khan, the 49th hereditary Imam of the Shia Imami Ismaili Muslims, and Portugal’s Minister of State and Foreign Affairs, Rui Machete, at the historic Necessidades Palace in Lisbon. The Agreement marked the first such accord in the Ismaili Imamat’s modern history. The Agreement is divided into 5 chapters dealing with (1) General Provision; (2) The Seat of Imamat; (3) Prerogatives of the Imam and the Members of the Seat; (4) Cooperation; and (5) Final Provisions, and consists of 21 articles. The Agreement, reflecting the mutual trust and esteem which has traditionally characterised the relationship between the Republic of Portugal and Mawlana Hazar Imam, affirms the recognition of the legal personality of the Ismaili Imamat. h) “Premises of the Seat” means the buildings or parts of buildings and the land ancillary thereto used exclusively for carrying out the official mission and performing the official functions of the Ismaili Imamat, including the central Seat premises, the premises of the Delegation of the Ismaili Imamat in Lisbon and the official residence of the Imam. 1. The Portuguese Republic acknowledges the legal personality and capacity of the Ismaili Imamat to act in international relations and welcomes the decision of the Imam to establish the Seat of the Ismaili Imamat in Portugal. 2. This Agreement establishes the privileges, immunities and facilities extended by the Portuguese Republic to the Ismaili Imamat, the Imam, the Senior Officials and the Staff Members, as well as to its Seat and assets, with a view to ensuring the performance of their official functions in Portugal and facilitating the same internationally. 1. The Portuguese Republic shall ensure the conditions for the establishment of the Seat of the Ismaili Imamat within its territory as well as for the exercise of its functions, in accordance with the present agreement. 2. The location of the Premises of the Seat shall be subject to mutual agreement between the Parties. Pending the construction or acquisition of the central Premises of the Seat, and within a period of five (5) years, the Seat may be established in Lisbon, in the existing premises of the Delegation of the Ismaili Imamat. The Imam shall notify his decision in this respect to the Minister of Foreign Affairs. c) Enhancing international relations and co-operation with States, International Organisations and other entities. 1. The appointment of the Senior Officials of the Seat of the Ismaili Imamat by the Imam shall be preceded by a consultation with the Portuguese Government and shall be notified to the Ministry of Foreign Affairs according to the procedures applicable to members of diplomatic missions accredited in the Portuguese Republic. 2. The number of Members of the Seat shall be determined by the Imam as may be necessary to enable the Ismaili Imamat to carry out its functions. The Ismaili Imamat will review such number with the Ministry of Foreign Affairs. 3. The Ministry of Foreign Affairs shall issue diplomatic identity cards to the Members of the Seat, according to the functions they perform, the highest level being attributed to Senior Officials and the other levels to the other Members of the Seat as the Minister of Foreign Affairs and the Imam shall establish. 1. The Portuguese authorities shall take all appropriate steps to protect the Premises of the Seat of the Ismaili Imamat against any intrusion, threats or damage. 2. The Premises of the Seat, as well as the Ismaili Imamat land, air or sea vehicles used for its official functions, are inviolable, except in emergency situations that endanger public order and security, in case of a serious incident or any other event requiring immediate protective measures. 3. The Premises of the Seat cannot be used as a place of refuge for any individual prosecuted for a crime or flagrante delicto or subject to a court warrant, criminal conviction or a deportation order issued by the Portuguese authorities. The files and documents as well as the official correspondence of the Ismaili Imamat are inviolable at any time and wherever located within Portuguese territory. The Ismaili Imamat shall be entitled to use distinctive signs, flags and emblems, in the Premises of the Seat as well as on any of the said official vehicles, which shall enjoy a registration status no less favourable than that accorded by the Portuguese Republic to diplomatic missions. The Ismaili Imamat shall enjoy on the territory of the Portuguese Republic, for the purposes of its official communications and correspondence, treatment no less favourable than that accorded by the Portuguese Republic to diplomatic missions. c) In a lawsuit brought by a third party with a view to obtaining financial compensation for death and injuries suffered as a result of an accident caused by vehicles owned or used by the Seat, or in case of any offence involving one of those vehicles. 1. Gifts and bequests made by the Ismaili Imamat or the Imam within the context of their official functions or received by the Ismaili Imamat or the Imam, as well as income received by them, including capital gains, as well as the assets held by the Ismaili Imamat or the Imam, shall not be subject to any tax, including income or wealth tax. b) Interest and other investment income, either due or paid by any resident in Portugal or effectively connected with the activity of a permanent establishment or fixed base in Portugal, as foreseen in the Portuguese corporate income tax code. 3. The income referred to in paragraph 2 (b) shall be subject to withholding tax, of a final character, in accordance with the corporate income tax legislation of the Portuguese Republic. 4. The Ismaili Imamat shall be exempt from any national or local tax on immovable property as regards the Premises of the Seat. 5. The Ismaili Imamat and the Imam shall be exempt from stamp duty, as well as from any other transfer tax, on the acquisition or sale of movable or immovable properties used or to be used for their official functions. 6. The Ismaili Imamat and the Imam shall be exempt from any taxes or duties on the purchase, ownership, registration, use or sale of land, air or sea vehicles, including spare parts and consumables, used for its official functions. 7. The Ismaili Imamat shall be entitled to a refund of the amounts corresponding to VAT paid on goods, including the vehicles above-mentioned, and services purchased or imported for its official use. The Portuguese Republic will establish the conditions and procedures for the application of such refund. 8. Gifts made to the Ismaili Imamat shall be tax deductible according to the Portuguese legislation applicable to gifts made to religious institutions. 1. Subject always to the laws and regulations of the Portuguese Republic and of the European Union, namely those regarding the fight against money laundering and terrorism, the Ismaili Imamat may hold funds, securities, gold and other precious metals, or foreign currencies. 2. The Ismaili Imamat shall be free to receive any such values from within or from outside Portugal and hold and transfer the same within Portugal or from Portugal to any country and to convert any currency held or bought into any other currency. 3. This does not preclude the Portuguese Republic from adopting any requirements resulting from its membership of the European Union, including measures prohibiting, restricting or limiting the movement of capital to or from any third country. The agreement establishing Portugal as the seat of the Ismaili Imamat took place at the Palace of Necessidades. It is a historical building in the Largo do Rilvas, a public square in Lisbon, Portugal. It serves as headquarters of the Portuguese Foreign Ministry. Palace photo: Wikipedia. 2. The direct family members of the Imam shall be accorded the appropriate facilities and courtesy treatment. f) When required by Portuguese or European legislation, facilitation of issuance of visas and residence permits, extended to direct family members. The Portuguese authorities guarantee the protection and necessary assistance to the Staff Members of the Seat with a view to securing the efficient performance of their official functions, including, when required by Portuguese or European legislation, facilitation of issuance of visas and residence permits. 1. The Ismaili Imamat shall actively support the efforts of the Portuguese Republic to improve the quality of life of all those living in Portugal, particularly through the development in Portugal of world-class research projects in the said area, but more generally on subjects of common interest to the Portuguese Republic and the Ismaili Imamat. 2. In view of the above, the Ismaili Imamat shall cause its highest level Dependent Institutions to create a special window devoted to achieving the objectives set out above in cooperation with the relevant Ministries or other entities of the Portuguese Government. b) Settling any differences or disputes concerning the interpretation or application of the present Agreement, with the understanding that, if an agreed solution cannot be found in the context of the Joint Committee, the matter shall be brought to direct negotiation between the Parties. 1. The present Agreement may be amended by the Parties by written mutual consent. 2. The amendments shall enter into force in accordance with the terms specified in Article 21 of the present Agreement. 1. The present Agreement shall remain in force for an unlimited period of time. 2. Either Party may, after an initial period of twenty-five (25) years, terminate the present Agreement upon prior written notice of four (4) years, to be communicated through diplomatic channels. The Parties may by written agreement, modify the length of the said notice time. The Ismaili Imamat shall fully co-operate with the competent Portuguese authorities, without prejudice to this Agreement, with a view to complying with Portuguese legislation and preventing abuse of the privileges, immunities and facilities granted under the present Agreement. The present Agreement shall enter into force thirty (30) days after the date of notification in writing by the Portuguese Republic to the Ismaili Imamat, conveying the completion of the constitutional procedures of the Portuguese Republic required for that purpose. Done in Portuguese and English, in Lisbon, on the 3rd day of June 2015. Date posted: August 3, 2015. Last updated: August 6, 2015 (Video link of the signing ceremony added, see below). The PDF version of the June 3, 2015 Agreement is in the public domain, and may be viewed by clicking on English Text of the Agreement, PDF File, website of the Government of Portugal. We welcome feedback/letters from our readers. Please click Leave a comment. For links to articles posted on this Web site since its launch in March 2009, please click Table of Contents. Please click for “An Ode to Pir Hasan Kabirdin.” Image in frame is copyright Istockphoto.com. Faith (Iman) is like a tree, the roots of which go into the heart: its trunk is in reason, and its branches are in the instincts, while imagination is its new shoots and leaves – (senses of) the body. The foundation (asl) of faith is love for the Imam-e-Zaman (the Imam of the Time). And if this foundation, that is, this love, and the roots of faith are strong and in good condition, all other parts of the tree, such as its trunk, its branches and leaves, can be expected to continue to flourish even if they are (accidentally) damaged. If, on the contrary, the roots are not well grounded, or even rotten, the whole tree will soon dry, and then will become good for nothing except to be used as fuel. Thus love for Mawlana Hazar Imam is everything, being the root of faith. If it is not strong, all the acts of outward piety (a’mal-i zahiri) which are like leaves of the tree, will fade. If you have thousands of leaves, fresh and of good colour, they will dry in a short time, and then a very small fire will be sufficient to burn them completely. It is related from Imam Ja’far as-Sadiq (a.s.) that a group of Shias visited him one day. One in the group addressed the Imam and spoke of a man who was with them. “Faith” adapted from Risala dar haqiqat-i din by Pir Shihabu’d-Din Shah Al-Husayni, translated as True Meaning of Religion by Wladimir Ivanow. 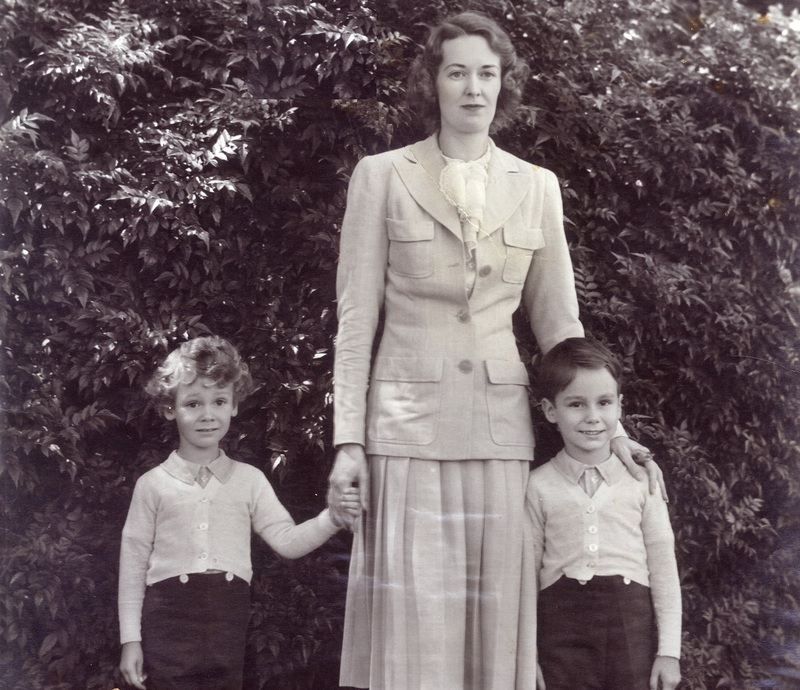 Pir Shihabu’d-Din Shah was the eldest son of the 47th Ismaili Imam, Aga Ali Shah, also known as Aga Khan II. The Pir was only 33 when he died due to a chest related illness, a few months before the demise of his own father, Imam Aga Ali Shah. Mawlana Shah Sultan Mahomed Shah, His Highness the Aga Khan III, then only 8 years old, succeeded to the throne of Imamat as the 48th Imam. “Love for Imam” excerpted from article by Jehangir Merchant and Alnoor Bhatia published in Ilm, Volume 5, Number 1 (July 1979). The article was based on the Gujarati edition of Qadi al-Numan’s work, Da’aim al-Islam. As work commenced on the large empty plot that had formerly housed the Bata Shoe Company, the trees that lined the perimeter of the site were carefully removed, and gave way to heavy construction equipment and trucks as well as hundreds of skilled professionals for the multi-year construction phase of new Aga Khan Museum, the Ismaili Centre and their Park. Cranes illuminated the night sky. 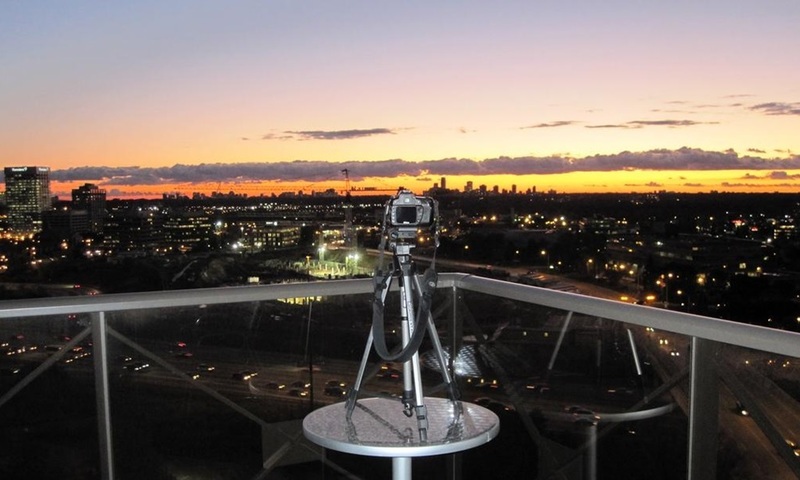 From a highrise building across the Don Valley Parkway, and from the beginning of the project, resident Jim Bowie began taking pictures of the site every single day from his balcony. 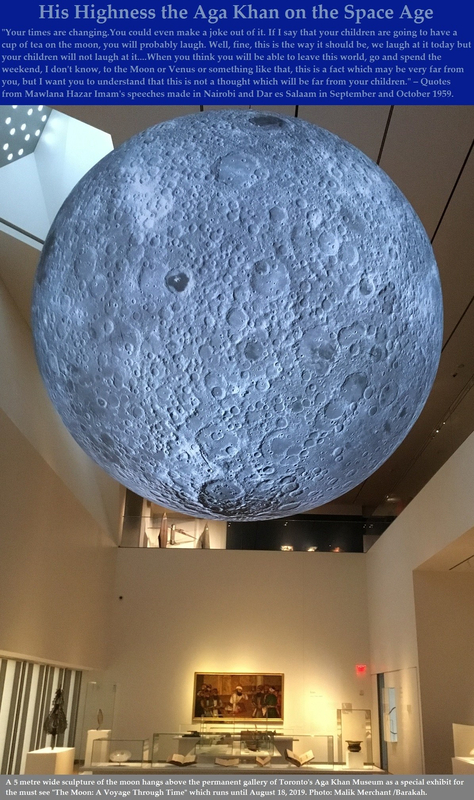 When we published his highly acclaimed photo essay, In the Making: The Aga Khan Museum, the Ismaili Centre and their Park, we invited our readers to select a photo they liked. Here are reposts of two winning entries, as Canada and the world await the opening of the magnificent Aga Khan Museum to the public on September 18, 2014. 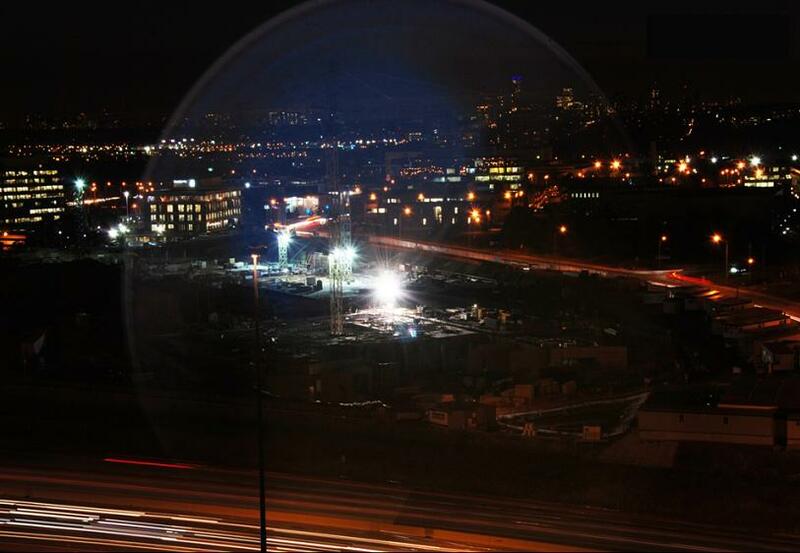 A halo from the construction site of the new Ismaili Jamatkhana and the Aga Khan Museum in Toronto. The long exposure created this halo from the lights on November 29, 2010. It is not an effect that Jim Bowie created, and he can’t quite explain it. Photo: Jim Bowie, Toronto. I enjoyed viewing Jim Bowie’s photo because of its symbolism. Two features are notable in particular. First, the area ringed by the halo appears calm, whereas the area outside the halo pulsates with heavy traffic. I came away with the impression that the haloed area represents a beacon in a hectic world. Second, the three bright lights inside the halo look like newborn stars, perhaps even a new universe. Viewed through this prism, the photo is asking us to make enlightenment the focal point of our daily lives. This interpretation is consistent with the desired impact of the center: to give strength to those of the Ismaili faith while beckoning others to explore the rich contributions of Islamic culture. I like this photo because it depicts the rising beauty ought to be discovered and deserves a future glory. The building site is surrounded by streets and industrialized buildings to mark new development – the Aga Khan Museum, Ismaili Center and their Park built at the center to serve as EMBLEM of a country with unity amidst cultural diversity. The light from the site shows its glowing hope in building a strong foundation to create glory. The camera serves as the people’s excitement to capture the priceless beauty made for them. It is facing the horizon which means that people are ready to face the opportunities the buildings offer and travel from the past to discover the reason of their success towards the future. About the winners: At the time her winning entry was published, Dana Lopez was a law student studying to become a child advocate at the California Western School of Law. She was honored to participate in Simerg’s essay contest because she believes that replacing fear with hope for a brighter future is the best way to ensure a stable civil society. Kathreen Anne Lelis lives in Philippines where she studied at the San Pedro College of Davao City. A statue of the famous Ismaili dai Nasir Khusraw in Badakhshan. Please click on image for interview.